Alien object landed on earth in the year 2099, we did not survive the invasion. 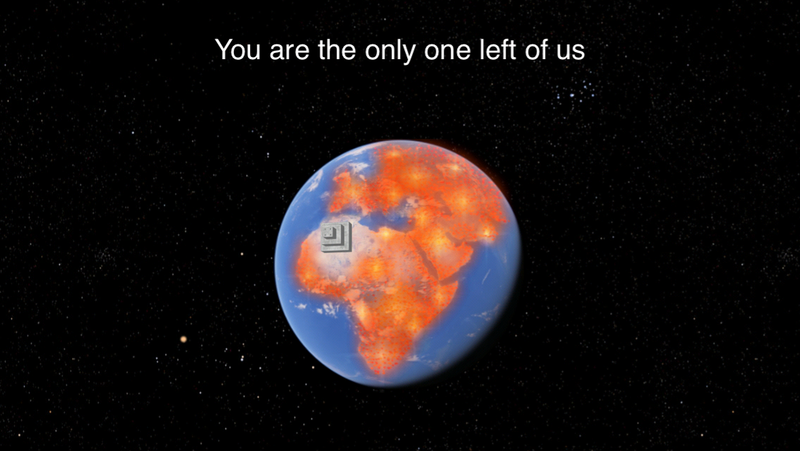 You are the only one left of us and you are fighting the last war of humankind, in the sky. 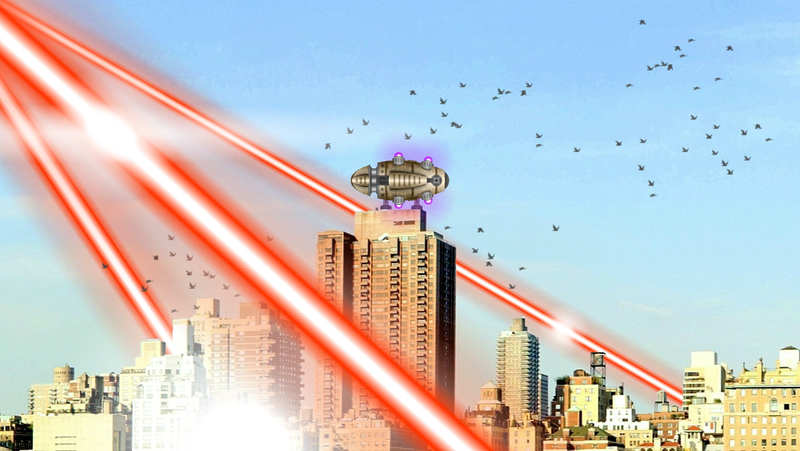 Countless alien forces are after you, trying to destroy your ship. Avoid them using tactical maneuvers, don't let them get to you. Be aware of which direction the aliens are coming from and what type of alien they are. 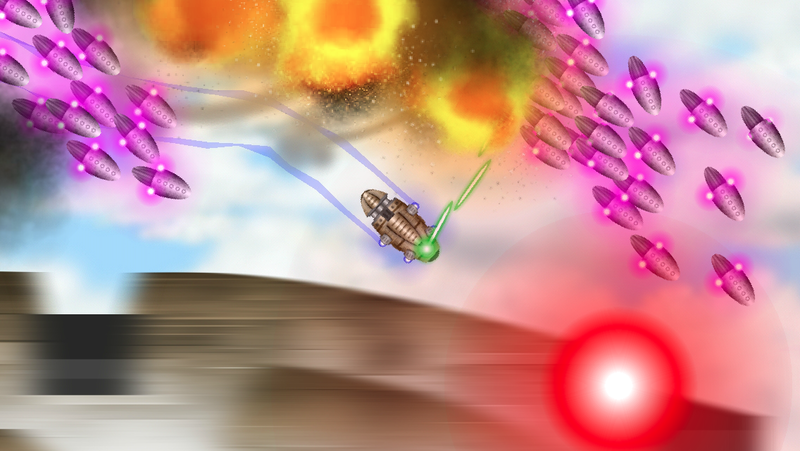 Your main weapon and missile launcher fire automatically. Upgrade them with Credits you earn by destroying aliens. 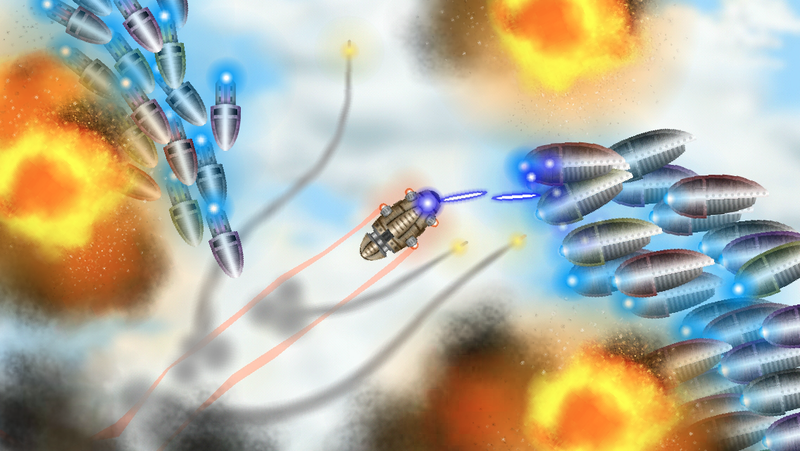 You start with the Machine Gun, upgrading Main Weapon unlocks Laser, Cannon, Gauss and Plasma. Missile Launcher also deploys more missiles as you upgrade it. 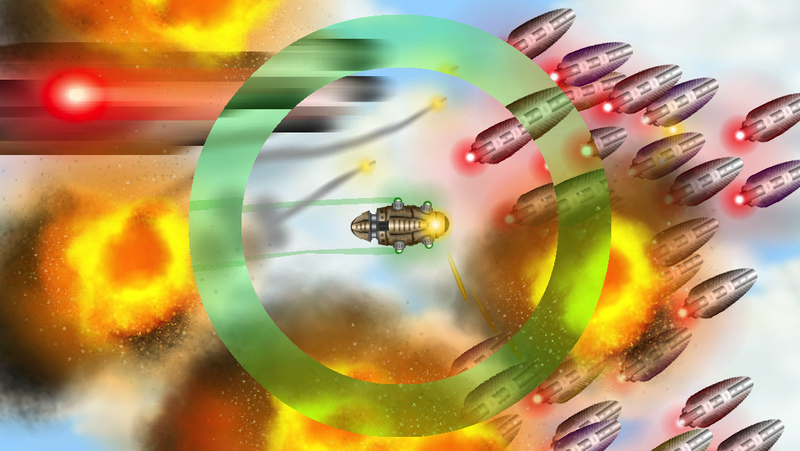 Every time your energy is full, you can use the Blast Wave which pushes and damages aliens around your ship. Upgrading Blast Wave enables faster energy generation. You can also upgrade Armor and Repair Center. Upgrading Technology unlocks other upgrades. By completing challenges you will earn more credits and crystals. Crystals can be used to revive after your ship is destroyed.